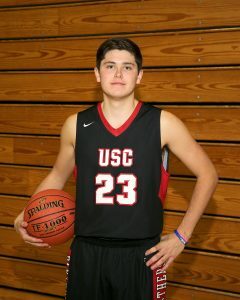 Congratulations to Tanner Gensler for being selected in and playing in the prestigious Roundball Classic this past weekend. Tanner was also selected as a member of the Post-Gazette’s the Basketball 6A Fab Five Team. Congratulations and thank you Tanner for all of your basketball accomplishments at Upper St. Clair.